James Charles Smith joined the faculty of the University of Georgia School of Law in 1984 and was named the John Byrd Martin Chair of Law during 1997. He specializes in property, real estate transactions and commercial law. He has published extensively on aspects of property law. The Law, Property and Society series examines property in terms of its ability to foster democratic forms of governance, and to advance social justice. 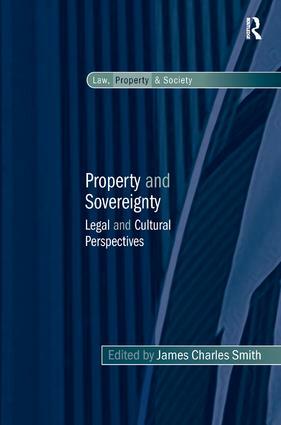 The series explores the legal infrastructure of property in broad terms, encompassing concerns for real, personal, intangible, intellectual and cultural property, as well as looking at property related financial markets. The series is edited by Robin Paul Malloy, and book proposals are welcome from all interested authors.